Do you ever dream of making your favorite pie, but don’t want to make a pie crust? I do all the time. Pie Crust is just not my thing. I even seem to mess up the ready made pie crust that you simply roll out and place into the pan. My daughter on the other hand, makes a perfect pie crust so we’ll let her handle the pies. I’ll make the bars and the cookies. These Chocolate Pecan Pie Bars are simply the best. They taste just like my favorite chocolate pecan pie, without all the fuss. Too bad we don’t haved smellablog, because we just finished making these pie bars (pie bars – that just sounds so funny to me) and the whole house smells AMAZING. I wish you could get a whiff of these bars right now. Do you remember the baking fantasy that I shared last month? It was the classic Greek dessert, Baklava, and it was loaded up with walnuts. That was another dessert that once intimidated me, but I figured out it wasn’t so hard to make. These chocolate pecan pie bars showcase another of my favorite nuts, pecans – along with chocolate, of course. 1. Preheat oven to 350 degrees. Line bottom and sides of a 9×13 inch baking pan with aluminum foil. Tip: If you turn the baking pan over and fold the aluminum foil over the outside of the pan first, it will nicely go right into place without a lot of creases. 2. In a medium bowl, use an electric mier to beat 1 stick of room temperature butter, brown sugar, flour, and salt until coars crumbs form. Pour mixture into prepared pan; press firmly into the bottom. 3. Bake until lightly browned, 25-30 minutes. Let cool for 10 minutes. 4. Meanwhile, in a large bowl, mix eggs, corn syrup, granulated sugar, and 2 tablespoons melted butter until well combined. Stir in chocolate chips and pecans. Spread over the crust. 5. Bake until set, 25 – 30 minutes. Cool completely in pan before lifting out (use foil to lift). Cut into 16 bars. Source: Adapted from recipe found at Food.com. So, what’s your baking fantasy? 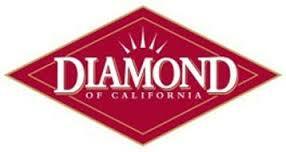 Disclosure: Compensation was provided by Diamond Foods via Glam Media. The opinions expressed herein are those of the author and are not indicative of the opinions or positions of Diamond Foods. 1. Preheat oven to 350 degrees. Line bottom and sides of a 9x13 inch baking pan with aluminum foil. 5. Bake until set, 25 - 30 minutes. Cool completely in pan before lifting out (use foil to lift). Cut into 16 bars. Seriously amazing looking and sounding. Pecan pie is my favorite kind of pie and chocolate is my favorite thing. To marry the two? Loving this idea. Thank you. Oh yum! Those look amazing! I love pecans and this is a dish I’m going to have to try out! This looks delicious! Another must-try! I would have to say my baking fantasy would be a milk chocolate and white chocolate rich gateau! Oh Wow! That looks amazing, I love pecans. I would love to try these this Christmas. Thank you for sharing. There’s nothing I love more than a chocolate chip cookie with pecans! So I bet I would really like these! These look to die for! Pinned for later, my husband is going to love these. Oh these look delicious! I love pecan pie..and I cheat and do the store bought crust, but this is even better! 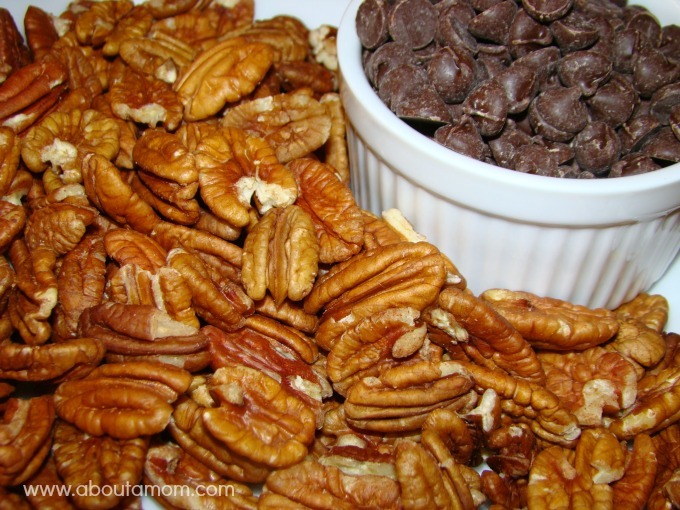 Chocolate and pecans are two of my favorite foods! I have never tried making homemade pie crust, but I usually prefer to make cookies, bars, or cupcakes instead. That looks sooooooo good! I’ve never tried a chocolate pecan pie (or a regular pecan pie!) Perhaps this recipe is just the right thing for me to whip up this weekend. These sound amazing! 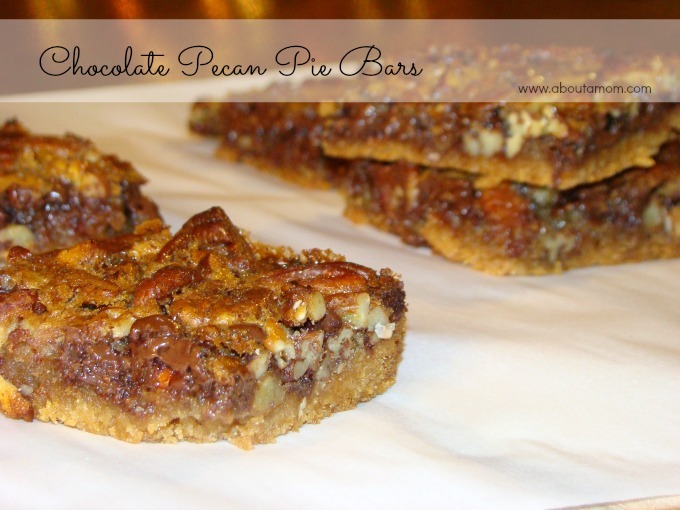 Pecan pie is one of my favorite desserts, so I think I’d love these! These look delicious! I may have to make them for Christmas Eve! Oh boy, does that look yummy. Your pictures definitely tell a story here…way to go. Oh my, these things looks incredible!! Perfect for us cajun gals with raging sweet tooths and love of pecans! Oh lordy I can’t take it!! Two of my favorite things! Delicious! Wow – these look divine and would make a perfect gift for teachers or neighbors. I’m from Georgia, so I love anything that has pecans! This looks like a delicious recipe! Your are always making the best treats. These look delicious. I hate making pie crust too! These look amazing! Those look so delicious and you were smart to use Diamond nuts. They’re excellent! YUM! Those look so good! I love Diamond nuts. AS a fellow Georgian I love any type of pecan dish, especially pie! Looks delicious. Thise look so decadent! I love pecan anything and that is a great combination of flavors! Pecans are my favorite nuts. And chocolate and pecans? A match made in Heaven! Thanks for this one! And I’m with you on the pic crust thing – it’s one of those strange talents that you have to be born with! A pre-made pie crust is too challenging for me! Just pinned/Stumbled/Tweeted this yummy recipe! Yummy!!! I need to start baking for the holidays, perfect recipe to start with. Those look very delicious. Might just have to add them to the holiday baking list! I’ve been craving pecans for the last few days- this would be a great way to get my fix! 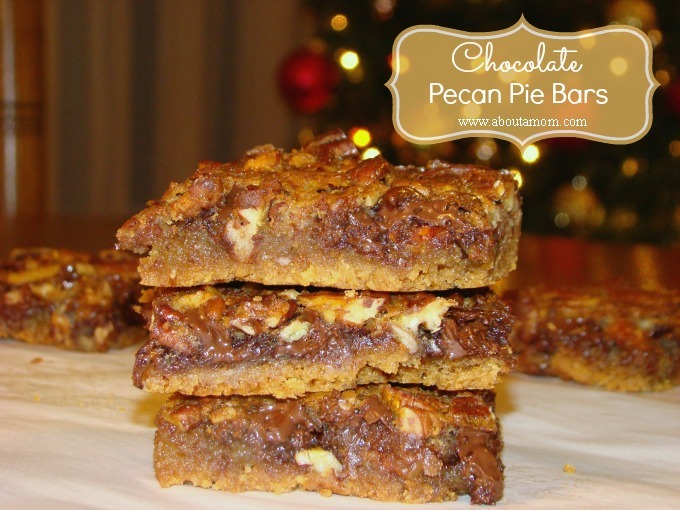 These bars look like a delicious alternative to pecan pie especially for those of us who can’t seem to get a handle on making pie crust. I love pecan pie and the addition of chocolate is a great way to spruce up an old favorite. Thanks for the recipe! Those look really good. My mother-in-law made something very similar for Christmas a few years back, and we gobbled them up. Pecans are good for you so therefore these are good for you right? Omg..I’ve got to pin this cuz I know my family would love these! Thanks for the recipe! My husband loves any kind of pecan desserts, I’ll have to make this for him (okay, for myself, too)! I love all kinds of baking during the holidays – this week I’m going to try my hand at baking cookies with cream cheese chips. These look amazing. Definitely a great Christmas treat. These sound so awesome!! I can’t make pie crust either and I absolutely love pecan pie I can’t wait to bake this I’m taking it to my Mom’s for Christmas!! PIE BARS!!! I knew they’d be amazing and they are. I definitely have to make these for Christmas!! These look so delicious! Pecan pie is like one of my absolute favorite pies so I will have to try this recipe out this holiday season! Thank you for sharing. Thanks! You’ve just provided me the dessert I’ll make my wife for Christmas Day. Yum! Holy crap, these look AWESOME!! I’m going to try and talk my fiancé in to making those for Christmas! My word that is heaven on a plate. You have the best recipies and craft ideas. Think this one will end up on my dessert table Christmas Day. 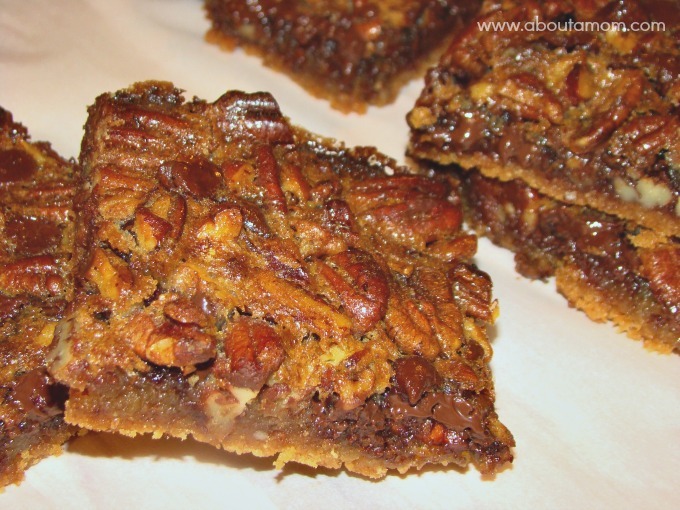 Wow – Chocolate Pecan Pie Bars. They look so delicious. It has all my favorites Chocolate (yes, I admit it – I’m a Choco-holic”) and Pecan Pie. I can’t wait to try this recipe. Thank you for sharing it – my family and I wall be having some very soon. Y had me at Chocolate!!! I cannot wait to try this it looks sooooooooo delicious!! Thank you for sharing this recipe. I would like to try this recipe without the chocolate for me it would taste better just like eating a pecan pie in a bar. oh oh, danger zone – these look wicked good! I love pecans and chocolate, and putting them together is better than anything. I never thought of making these as bars, no battle with pie dough. I have to make these today – I’m off to buy pecans, I can’t wait to taste the buttery goodness!!! This looks and sounds so wonderful! We love pecan pie and this sounds so much easier! Thank you for sharing the recipe! These look amazing. Love pecan pie and who doesn’t love chocolate??? Never thought of combining them together, but thankfully someone did, will be trying these in the near future!! Wondering how they hold up after baking…I do like to do all my holiday baking starting right after Thanksgiving …do you have an hints on how to keep them fresh for a limited amount of time…..would you recommend freezing…store in plastic containers…cookie tins???? All baked goods have different instructions…any ideas from your experience…I usually make the pies…I would like to try this recipe….Thank you..
Hi Mickey! I would store them in an airtight container, and if they don’t get eaten within a couple of days store them in the fridge. We haven’t tried freezing them yet, but my guess is that they would freeze well enough. I’m confused, recipe calls for 1/2 cup butter aside from the 2 tbsp. melted butter. Directions say mix 1 cup of butter with mixer. Which is it? This looks delicious! Hi Sue! Step 2 of the recipe calls for the 1/2 cup (1 stick) of butter. Step 4 of the recipe calls for 2 tbsp of melted butter – that’s for the topping. I hope that clears things up for you. Enjoy! Oh goodness, I got it now! Sorry! Going to try these today! Thanks again! Great! Please let us know how you like them.